Manchester United legend Ryan Giggs has made an intriguing claim when discussing his old side’s thrilling comeback from 2-0 down to beat Newcastle 3-2 in their last Premier League game. The Red Devils showed great character to pick up three points in that match when all hope looked lost in the opening ten minutes of the game. Newcastle got off to a flying start with two early goals to stun Old Trafford, but United then put on a show to score three times in the final twenty minutes to claim an important win. Giggs, however, hinted he did not feel that kind of improvement in performance could be put down to manager Jose Mourinho. The Portuguese has had a tough time from many pundits, including former United players, after a slow start to the season, and this seems like another little put-down from Giggs. The Welshman singled out Anthony Martial as an example of a player whose improvement in the second half was ‘nothing to do’ with anything the manager could have done. ‘I was at the game against Newcastle and the visitors played really well in the first half and you sometimes get that. I played in games where you’re down 1-0 or 2-0 and you’re forced to go for it. 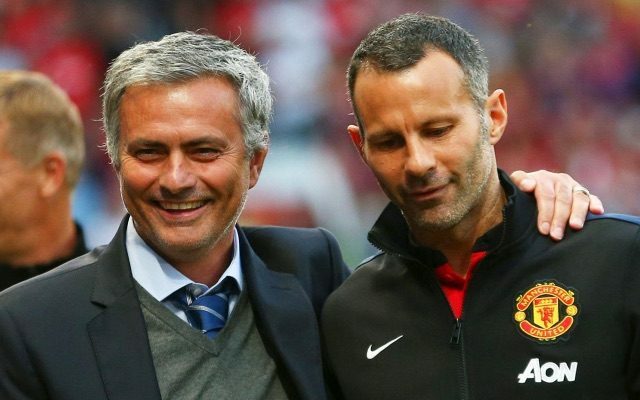 With the attacking ability they’ve got they’ve always got a chance,’ Giggs told Sky Sports.